In a strange way, I was reminded of that after the news broke this week that regional carrier Republic Airlines was cutting 27 of its 41 Embraer 50-passenger jets due to a pilot shortage. That spawned quite the conversation in the industry, both in news coverage and social media. But there isn’t a pilot shortage. There’s a shortage of pilots. And while that sounds like splitting hairs, there’s actually a big difference. A pilot shortage sounds like there’s not enough bodies to fill the positions. Oh, there’s plenty. 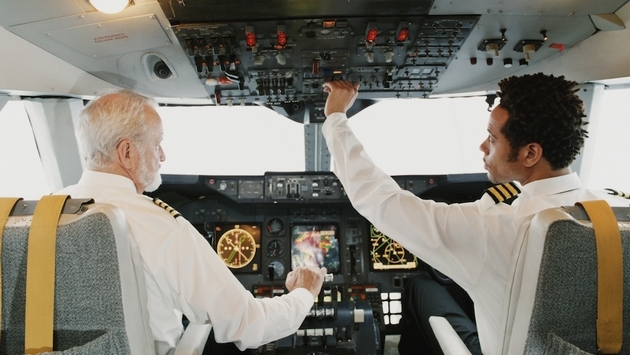 In actuality, it’s a shortage of pilots – a shortage of pilots who are willing to do the job at the regional airline level for the abysmal pay structure, that is. As the Wall Street Journal reported this week, the average starting salary for a first officer on a regional carrier is about $22,000 a year, compared to an average of about $60,000 a year for co-pilots on Delta and United, according to the Air Line Pilots Association. We’re talking poverty line stuff here with $22K. “There may be a shortage of qualified pilots who are willing to fly for U.S. airlines because of the industry’s recent history of instability, poor pay, and benefits,” ALPA President Lee Moak said last week in a statement. In fact, according to the union there at least 1,100 pilots on furlough right now that could fill the shortage. But when overseas carriers like an Emirates Airlines start pilots at $82,000 a year with perks like a housing allowance, there’s no incentive. Unfortunately, this is how the airline industry is built and continues to do business – from the lowest bidder. Are they going to purchase fuel for $3 a gallon when they can get it for $2.90? Are they going to pay crew an average of $50 an hour when they can get it for $45 or even on per diem rates? It’s no joke or comedic routine. There’s a serious conundrum going on within the airlines in which pilots who have no previous military training are shelling out tens of thousands – even up to $100,000 – for training and flight time. And for what? $22,000 a year? Add in new rules regarding pilot rest between flights as well as the significant increase in training hours and you have a dilemma. Given all that, some have called the issue of pilot shortage “a myth.” Within that context, however, the real “myth” seems to be a sense that pilots of smaller planes at regional carriers aren’t as important or valued as pilots of larger aircraft at major airlines. Tell that to the next husband waiting for his wife to get home on a regional airline when her safety and well-being are in the hands of "just a $22K a year pilot." There is a shortage of pilots. Either way, pilots deserve to be paid what they’re worth, not what the industry thinks it can afford or get away with.